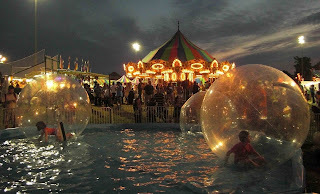 At the county fair a long line of small children waited to be zipped into large plastic bubbles which were then inflated and rolled out into a swimming pool. The kids scrabbled and bounced, rolled and flopped, trying to stand up or to move the ball across the water. They laughed and laughed and so did we. 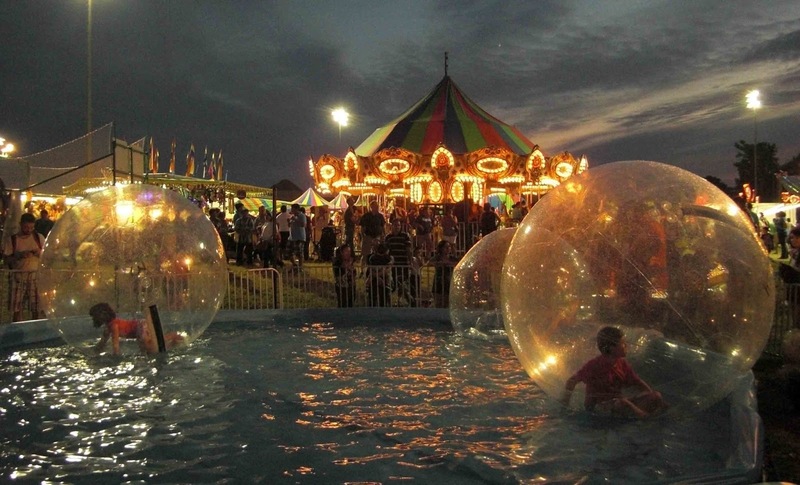 This low-tech variation on a hamster ball elicited more genuine fun than all the rest of the rides whirling, twirling and flashing around us.